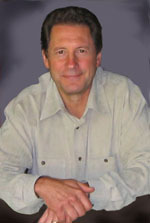 Avi Magidoff is a teacher of spirituality, Buddhism and acupuncture. His teaching on Compassion and Education, one of his many profound teachings, can be seen in this TedX talk; many others are available here. As a student of Thich Nhat Hanh and Jeffrey Yuen for 25+ years, as well as many other teachers, Avi values the gift of compassion and non-dogmatism that he received from them. He also values the encouragement he received to find the teacher within. Avi maintains an acupuncture practice in New Hampshire and trains other acupuncturists worldwide. Avi’s profound teaching on the Psychology of Spiritual Groups can be found here. Tim Hicks, now in private practice and available as a mediator, was formerly Senior Project Advisor to the Office of the President of University of Oregon, currently assisting with the establishment of the new ombuds office at the University. From 2006 to July of this year, he directed the Master’s degree program in Conflict and Dispute Resolution at the University of Oregon. Tim Hicks directed the Master’s degree program in Conflict and Dispute Resolution at the University of Oregon for eight years. Before that, he was a mediator in private practice for 14 years. Prior to his mediation career, he and his wife started and managed two successful businesses, one that grew to 150+ employees. As a mediator, Tim worked in three primary sectors – family and divorce, workplace/organizational, and multi-party, environmental/public policy. He also consulted with and provided training for businesses and organizations in conflict management. Tim is the co-author of the book “The Process of Business/Environmental Collaborations: Partnering for Sustainability” and author of the article “Another Look At Identity-Based Conflict: The Roots of Conflict in the Psychology of Consciousness” (Negotiation Journal, Vol. 17, #1, January 2001). His article here explores the neuroscience of mediation, knowing and identity and the IDR cycle in mediation. Leyla Navaro, M.A., is a psychotherapist, group leader, clinic director, author, educator and trainer. She is the founder of a psychotherapy and group therapy clinic in Istanbul, Turkey, where she practices today. In addition to directing her clinic, she works as a psychotherapist and group therapist and conducts several therapy, and psycho-educational groups. She also presents her work regularly in the USA, Israel and Europe. 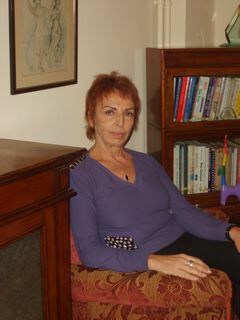 She is Adjunct Faculty and Supervisor at BUREM, the Psychological Counseling Center of Bogazici University in Istanbul. Leyla Navaro, Robi Friedman and Sharan Schwartzberg. (Eds). Desire, Passion & Gender: Clinical Implications (Nova Science Publishers, New York, 2011). Leyla Navaro and Sharan Schwartzberg (Eds). Envy, Competition and Gender, Theory, Clinical Applications and Group Work (Brunner-Routledge 2007). For a contribution by Leyla Navaro, please see: Gender, Conflict and the Woman Mediator. We are grateful to have her contribution.